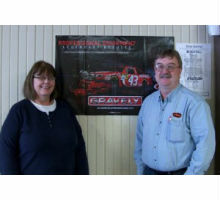 After more than 20 years of working in the outdoor power equipment and powersports industries, Art Crain has decided it was time to do things his way. 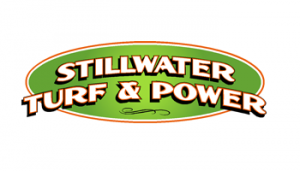 So, in 2012, he opened Stillwater Turf and Power with the idea of providing old-fashioned, down-home customer service – and it has paid off. Working essentially as a “one-man shop,” Art has managed to steadily grow the business by 18-20% each year. Now that he has hired an additional tech, his plan is to grow even further and utilize the Ideal business management software to its full potential. We recently caught up with Art to discuss how great customer service and the right business management tools have made this small business so successful . Tell me how the business began and how you became involved. Art: “The business began with a thought. I worked for quite a few different distributors, including Magneto Power, Central Power Distributing and Great Northern Distribution. I could see what people were doing well and not so well, and I always thought I could do something better. 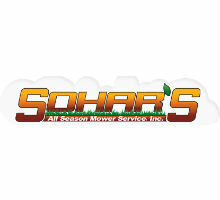 You service both outdoor power equipment and powersports products. What are the benefits and challenges to working with both industries and how do they impact the business? Art: “We have myself, who does everything, a mechanic and a part-time receptionist. Since I’ve been in the industry for so long, I have a lot of experience in a lot of different areas. My technician is someone new that just came out of school, so he’s in training. We’re unique in that 90% of our business is repair work. 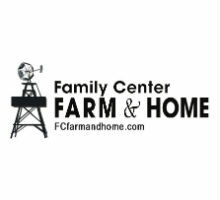 We service everything – from a weed whip to a 45-horsepower diesel tractor, to a generator, to a UTV, to an ATV, to a hot water pressure washer and so on. We cover all gametes of power equipment repair. We also work on trailers, wiring and lights. We’re always busy. In the Midwest, we have changes in seasons, so there’s always something new that needs repaired. Other dealers have influxes during certain seasons, but our business is more consistent. On your website, you mention that you have a “no-nonsense, no-games” attitude that customers find refreshing. What can someone who has never been to your business expect when they walk through the door? Art: “I like to say that we offer service like it used to be when we were kids. Remember when your parents would go to the hardware store and look for something? Someone would say hello and get you to where you needed to go. They would take you by the hand, handle your problems, thank you a million times and send you on your way with the right part the first time. You put an emphasis on local partnerships and have offered special incentives with those partnerships. Can you talk about that and how it has helped the business? Art: “Stillwater is a small community that’s located right on the Minnesota-Wisconsin border. I grew up here, and we have a local church in town that I’ve gone to all my life. They have raffles and script cards for fundraising, so we offer a discounted rate for those script cards. We also support the local school, and customers can receive a discounted repair rate as long as they support the school. If the school is having a fundraising event, we donate a complete repair service. When I say complete, I mean we come to your location, pick up your equipment, fix whatever needs to be fixed and bring it back. When you opened the business, you made the decision to purchase Ideal. How did this decision come about and what have you liked most about the product? Art: “I’ve been in this industry for over 20 years, and there’s been many places where I’ve worked with Ideal, so I knew it was a good system. I worked with them back when it was a DOS system and then I worked at another business that had the Windows-based product. At that time, I was an assistant manager, so being able to navigate freely between invoices, work orders, purchase orders and bin locations was just phenomenal. I knew then that when I decide to purchase something, it will be Ideal. You mentioned you have a background in parts. What do you like best about Ideal’s inventory features? You also use Ideal’s Accounting module. What features do you like best? Art: “Everything is there. I’m not flipping back and forth between some other program and Ideal. It’s all tied into one program. I have the same type of support for my inventory as I do for my accounting. It’s fabulous because it’s all integrated and easy to navigate. Which other features have saved you the most time? Art: “To be honest, I’d have to say the whole system. The easiest way to explain it is that last year, it was me and another guy part-time. Between the two of us, we were able to do $250,000 worth of business out of the store. Out of that, $90,000-$100,000 was part sales. The rest was service. What goals do you have for the business and how will Ideal help? 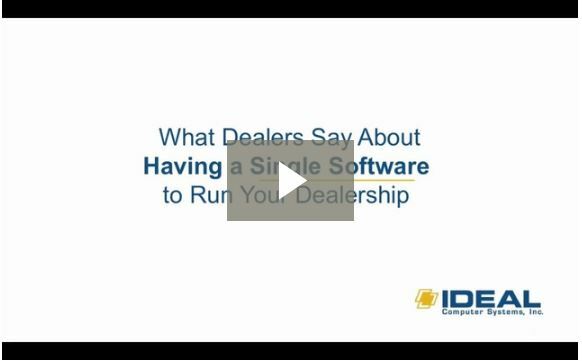 What advice do you have for other dealers looking to grow their business and upgrade their computer system? Art: “Even though Ideal can be viewed as expensive, don’t let the price scare you. It doesn’t matter if you’re a John Deere or Exmark dealer, or just do rentals. This program will allow you to do everything you want to do and then some. You can have multiple stores, you can track technicians, and it’s easy for anyone to navigate.